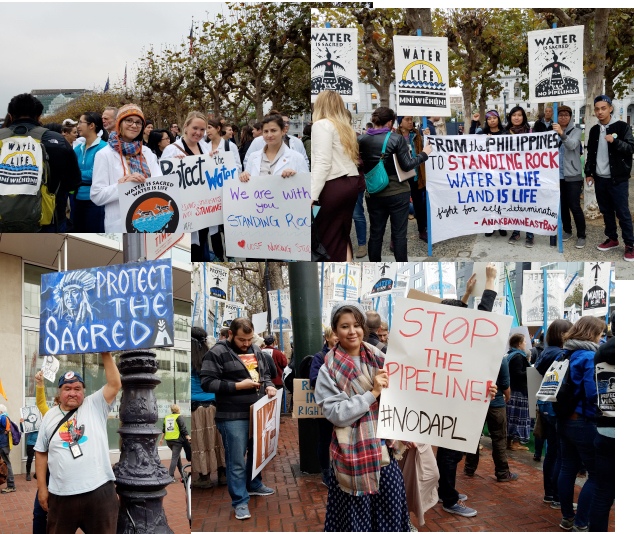 There was a protest against the Dakota Access Pipeline in San Francisco this morning. What the protesters and socialists in general have to consider is this: Many of us think that when Trump gets into office and “betrays” the working class, then white workers will turn against him. But it might not be that simple. 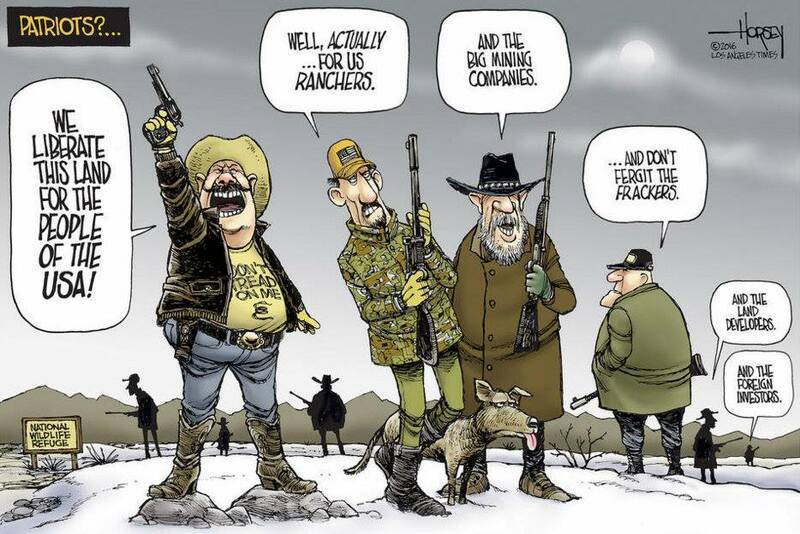 There has been a long term campaign to turn over federal lands to the states so that they can open them up to mining, oil exploration, logging and ranching – the extractive industries, in other words. That’s especially so for the 630 million acres of federal land in the West. These were the economic forces behind the occupation of the Malheur Nature Preserve in eastern Oregon. economic downturn, isn’t there a real likelihood that there would be widespread support for this on the grounds of “jobs”? Don’t forget that public opinion polls showed that 57% of people in the US backed the Keystone XL Pipeline while only 28% opposed it. Especially in an economic downturn, isn’t there a danger that an even greater majority would support mining, ranching, logging and oil exploration on these lands? Does anybody seriously think that can be stopped if we cannot get the majority of the working class on our side? Can we just ignore the support of the AFL-CIO, and especially the building trades leaders, for projects like DAPL? Especially related to the building trades, we should explain to the rank and file that their leaders’ support for such environmental destruction is just the flip side of the coin to the building trades leadership’s following behind the thinking of the employers – even the union busters – in general. We should use the example of how the building trades leaders are following the strategy proposed by union buster Mark Breslin. The leadership’s support for these projects is directly connected with their refusal to fight for top contracts and for real rank-and-file union power on the job. Without this, they cannot stem the tide of union busting in construction. We should challenge the short-term thinking of “jobs now and the hell with the consequences”. This includes going directly to the working class youth and trying to get them to win over their parents (as happened during the Vietnam War). We should, of course, put forward the alternatives for jobs – renewable energy investment, of course. Finally, and most important, we should start now on the dire necessity of building a mass, fighting working-class party in the US – one with a socialist program, in fact. Unless we start with this now, there is a serious danger that Trump and “Trumpism” could win an even larger base among workers, including among the unemployed.